Hung-over and Under 30. New Audience? Over this past weekend I watched a few too many hours of television. Many of my favorite shows are accompanied by commercials that target the audience of a single 20 to 30 year old who has late nights out on the town. Personally, with graduation on the horizon and job hunting lurking around the corner, I usually do not like to associate myself with this crowd. To my surprise this crowd has a large following; companies like Dunkin Donuts and Mountain Dew are targeting this very audience in a very interesting way. Both Dunkin Donuts and Amp Energy Drink from Mountain Dew share a core message: Our product is the answer to your rough night. Dunkin Donuts is promoting a new coffee drink to help get through a day after the “all night blowout.” Their commercial shows a few roommates cleaning up their house after a party while singing the lyrics, “all night blowout.” The roommates get through the cleaning while drinking a Dunkin Donuts beverage. 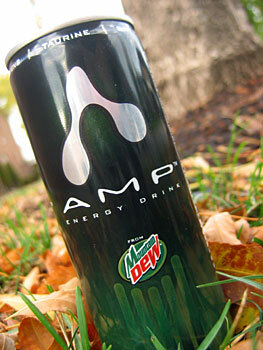 Amp Energy Drink also uses a musical number in their commercial that displays a large crowd joining together in the “walk of no shame” while sipping on their Amp Energy Drink. They also sing repeatedly that they “will not be ashamed” even though, as the commercial implies, they’ve made a few mistakes while under the influence. These commercials give birth to a new target audience. Both products use actors of similar age, 20 to 30 years of age, and communicate the message of helping those “tired” after a hard night. I predict that many companies will be targeting this audience more and more. I just hope they will shy away from this trashy message and show these energy drinks as ways to help students study or business people prep before a presentation; that would be much more positive. What other campaigns are currently targeting those under 30 years of age and in need of a hang-over cure? Currently, I am enrolled in Tiffany Derville’s Advanced PR Writing class at the University of Oregon. This week our class learned how to write shareholder letters. It became particularly interesting to notice differences in the executive’s photographs after reviewing several from Target, Chiquita and Disney. Each executive had a completely different look to their style of dress and expression. For example, Chiquita’s Chairman and CEO, Fernando Aguirre, looks very accessible with his friendly smile and country-club style of dress in the 2005 annual report. Aguirre makes you feel happy to be a shareholder with his arms down by his side and one hand in his pant pocket. Even his body language gives you the impression that he’ll jump out of the paper and hand over your financial returns on the spot. Chiquita’s 2005 annual report lends a positive image to the reader with it’s use of bright colors and a happy-go-lucky CEO. Surprisingly, Disney’s annual report gave me a completely different impression than Chiquita. Robert A. Iger’s “paparazzi” photo expresses a boastful attitude; he is almost too good to even acknowledge the shareholders he addresses in the letter. Iger is dressed in a tuxedo on the red carpet looking away from the camera with a smile. I wonder what their public relations team was thinking? Did they have a time crunch at the last minute? Maybe they entirely forgot about a photo and stuck one in before printing? The audience always needs to be addressed in the letter as well as in the author’s picture. In any case, as public relations practitioners, we need to remember that a picture really is worth a thousand words and evokes emotion. The CEO’s picture can overpower the letter and leave a huge impression even if the shareholder letter is upbeat and friendly.